On Thursday 22nd Oct, David Newland, Richard Flowerday and myself from the Alumni, plus Anna Bowman from the Archive, met with Mark Finch and Jonathan Maud from Rushbond. Some of you may know that Rushbond is the company that won the bid to develop the Hall into a Hotel. The purpose of the meeting was to update the Alumni to current developments and to establish a working relationship with Rushbond. The sceptics and critics amongst us seeing Bretton being turned over to a Hotel, may well wonder what the ‘developers’ are up to and why we are going along with them. I have to admit personally, that I am always sceptical in these situations when VERY large sums of money are being invested in an asset like Bretton. Having placed the above caveat in this report, I must say that all of us, without exception, have been extremely impressed by the way Rushbond is now proceeding. It seems like an eternity since the college closed and the fences and notices went up denying us access. The owners of the Hall at that point were still Wakefield Council and, although Rushbond were involved, the day to day running of security, heating and maintenance were still the responsibility of Wakefield. Those of us who have been watching the planning and permissions process, understand just why it has taken so long. Whether it be great crested newts, listed buildings, or just the planning process in general, this is time consuming stuff. On top of all of the processing of the applications, the financial crisis also has taken its toll on developments, putting the whole project into question. Plans for new buildings have been curtailed in some cases and adaptations of existing buildings become more realistic. It now looks like many of the detailed plans have been fully researched and costed, although, we must say there will still be changes as the project develops. The ownership embraces the Hall, Performance Centre, Stables, Gym, Alec Clegg, Library, Ezra Taylor Building, Victor Passmore and related buildings, Camellia House as well as the surrounding residential blocks; the Archives and Kennel Block Buildings are leased to YSP. The Ezra Taylor Building is planned for demolition and there is permission for a new building there. The hostel blocks will be demolished, but the hostel name plates and figurines will be preserved for a future discussion by the Alumni. The theme of the hotel is that of an ‘Arts Hotel’ with conferences, weddings and performances as part of its activities. If you can imaging getting rid of the structure of passing exams and only having to attend activities that we wanted to attend and if we had had good food and room accommodation in the environment of our beloved Hall, then this is how its going to be. OK, it will cost more than it cost us all then, but hey! I, and many others will certainly be up for what looks like is on offer in a couple of years time. We came out of the meeting well impressed and enthused in the project. I also believe that Rushbond has ‘gone a little native’ and is as enthused about the possibilities as we are. The Hotel may never get back the tens of millions that will have to be spent on it, but I feel that this has evolved from being a financial investment to a ‘Legacy’ project. The M.D. of Rushbond, Jonathan Maud was clearly very personally involved with the project and enthusiastic to listen to our ideas of collaborative working. We have viewed the development of the Sculpture Park over the past years and how it has worked with the landscape of the Park. We have seen also the Alumni develop again over the last seven years or so with a hugely developing mail group and the Archive being developed to be part of the complex. 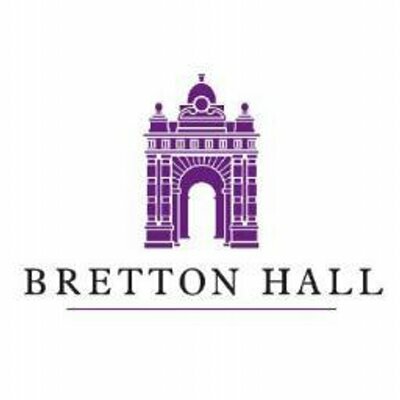 By the time the Hall is open again, probably in 2017, all aspects of Bretton will have matured in a way that Bretton in its entirety that will see the whole development be as one. It is hoped to start work on the main physical aspects of the Hall this coming Spring and clearance work has already started. A report will be issued regularly as this occurs and Rushbond will keep us in touch with developments as they happen. At some stage we will put up a discussion board for each new change to the works and get opinions of how we view things. For now, please be patient and we await a further bulletin from Mark Finch from Rushbond in a couple of weeks time. I feel very confident that the developments will see Bretton rise again to its former glory and that we will all feel part of its heritage.